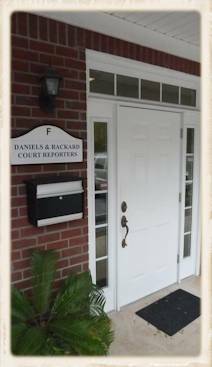 Daniels & Upton Reporting Service offers full service for all of your court reporting needs. We have three conference rooms available for depositions in Fort Walton Beach, Florida. Rebecca has lived on the Emerald Coast since 1984. She graduated with honors in 1993 with a degree in court reporting and became a Registered Professional Reporter. She is currently a member of the National Court Reporter Association. Suzan attended Biggers School of Court Reporting in New Orleans, Louisiana. She began her reporting career in 1985 on the Mississippi Gulf Coast. In 1992 she moved to Florida where she obtained her Florida Professional Reporter certification and has been serving the Florida Panhandle ever since. She is a member of Florida Court Reporters Association and the National Court Reporters Association.